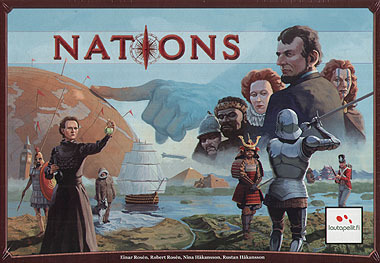 Nations is an intense historical board game for 1-5 players that takes 40 minutes per player to play. Players control the fate of nations from their humble start in prehistoric times until the beginning of World War 1. The nations constantly compete against each other and must balance immediate needs, long-term growth, threats, and opportunities.